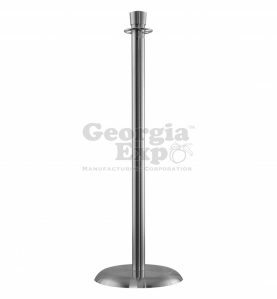 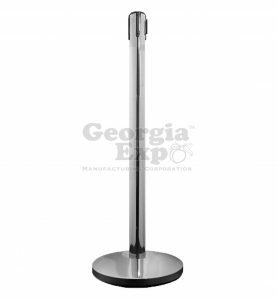 Go glam for your next event with this shiny, chrome stanchion. 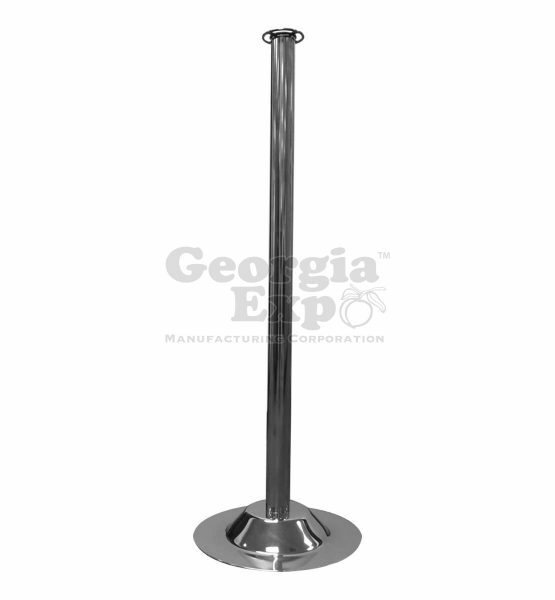 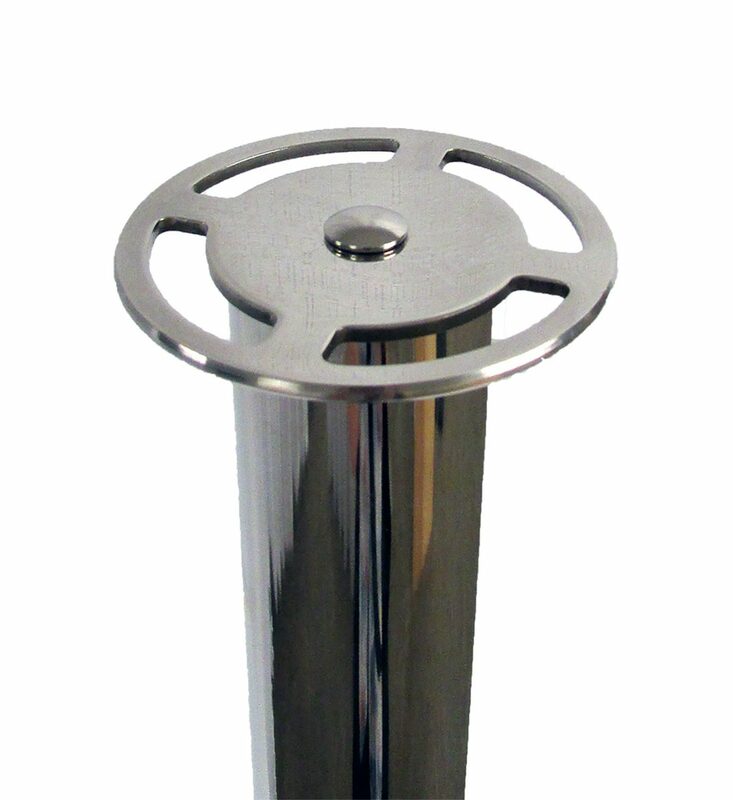 Similar to our Polished Chrome Stanchion but features a flat ring top used to connect the Velour Rope and a low profile, flat edged, bell-shaped base. 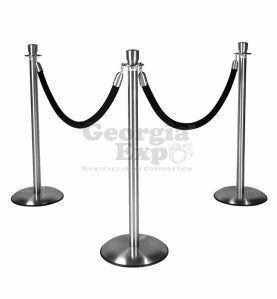 This is our most affordable rope style stanchion and is often seen at movie premiers and other red carpet events. 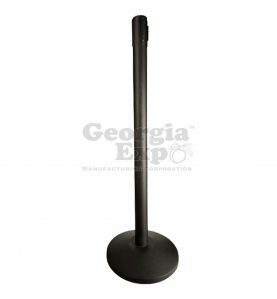 This listing if for a single unit but they are packed 2 per box so for most efficient shipping please order in pairs. 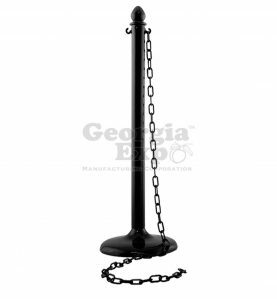 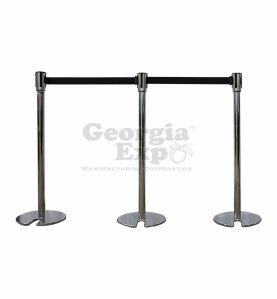 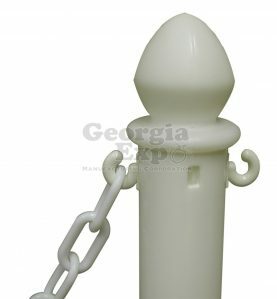 This stanchion can also be converted into a Belt-Barrier stanchion using our Interchangeable Head Piece. 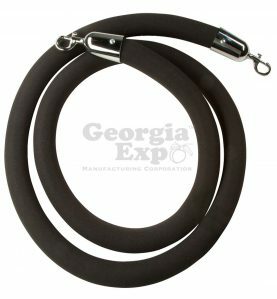 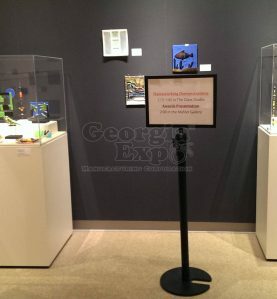 Georgia Expo Velour Roping with polished chrome ends sold separately. 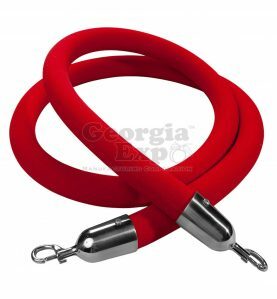 Roping available in red, black, burgundy.